So the latest regarding the Merc rims is that they changed them (plugged them) because they feared Ferrari would lodge a protest. But why would Merc be afraid of Ferrari lodging a protest if the FIA had passed them prior to the US race weekend? And if they were afraid, why weren't they afraid at earlier races? They've been running them since Spa/Monza. The other rumor is that the FIA asked Merc to do something about them. But why would the FIA do that if they felt the rims are legal from the start? All this stinks! In my opinion is that is has something to do with Liberty wanting to spice up the show. At the same time the Ferrari acceleration "trick" is back after being gone after Monza. In the meantime though the gap in both championships have grown to basicly a done deal and then everything is back to the kind of fight just after the summer break, a pretty even one. Last year I congratulated Merc and Lewis for winning both championships. I bowed my head. I won't be doing that this year. This is season is tainted beyond words and beyond being able to view it any other way. To much BS since the introduction of the "special tyres" at Barcelona and everything up until today. The list of things that stink is substantial. But to be fair I also don't feel Seb deserves any other place than 2nd in the WDC. But I do feel sorry for the guys at Maranello who deserve the WCC title. They at least deserve a shot at it until the last race. WHO is this this guy??? 512 TR??? and where is he getting all these conspiracy rumors??? common mate, are you for real??? do you really believe in these conspiracies??? 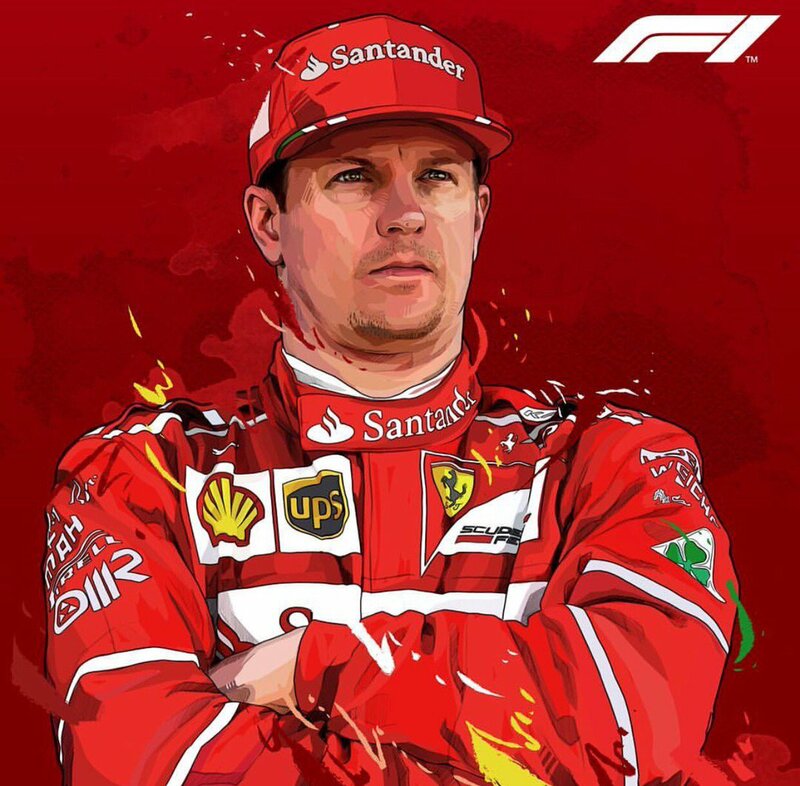 Ferrari is the one to blame for the performances it had in the latest races....monza, russia, singapore and suzuka.....they chose a WRONG way of developing the car and that has put a burden on our TRUE speed that we had from b4 teh summer break. Re: MB rims-->refer to posts #633 & #635. "Limited illegality" --> PR nightmare if Ferrari protested. 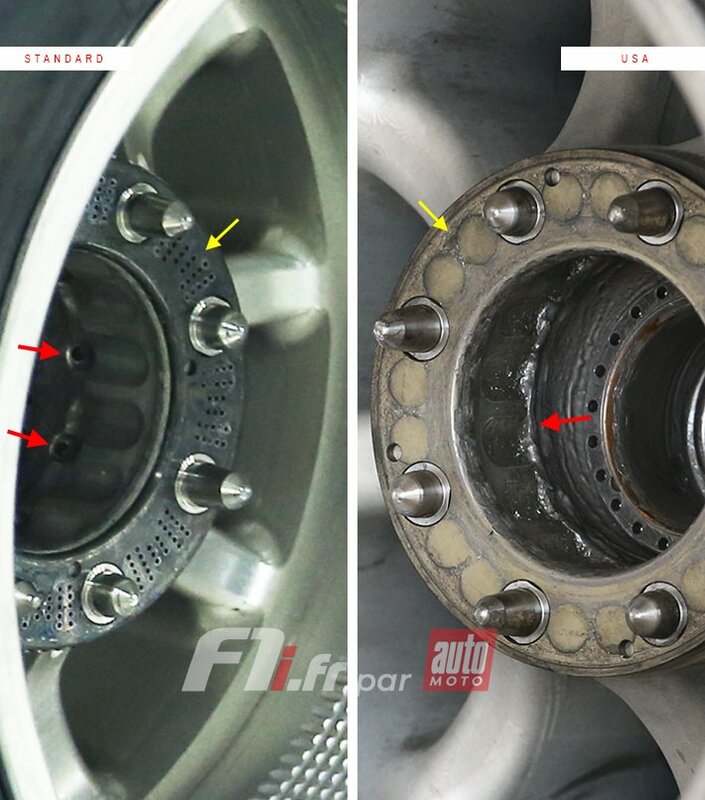 So MB covered up the holes with silicone ordered by the FIA. You do know how to use a search engine? These conspiracy rumors are not on me. But that doesn't make sense. PR nightmare for who? Ferrari for allegedly lodging a protest or for Merc maybe winning with, according to the FIA, legal rims? Where is the problem if the rims are legal? 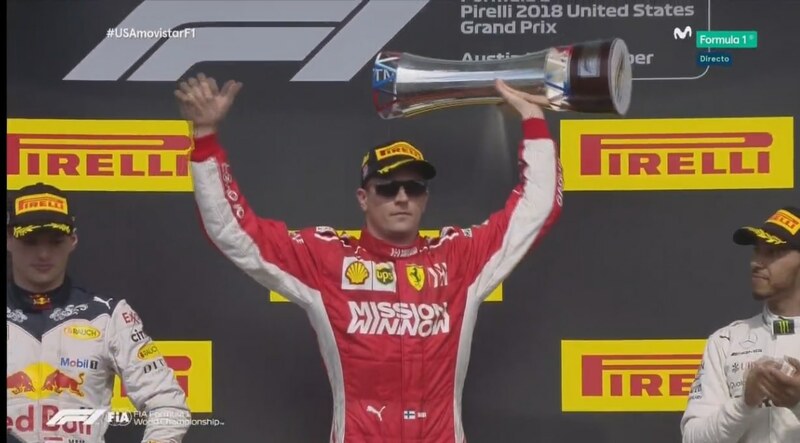 Why would Ferrari lodge a protest in Austin if they haven't done so since Spa? And why would Merc even think that? Who is stirring all of this and why? PR nightmare for the FIA for using the term "limited illegality." These rims just did'nt appear overnite in Austin. They appeared like 4 GP's ago or so. At the time, Mercedes seemed to have cured their graining/blistering issues. Ferrari wrote a letter to the FIA wanting clarity AT THAT TIME. Ferrari got a letter back from the FIA explaining that MB rims were legal and fell under the "limited illegality" clause (first time I've heard of this but IMO it's like the FIA just told Ferrari "Just shut up okay, the rims are legal due to what we say under this so called clause(limited illegality."). I'm sure Ferrari's lawyers looked into this co called clause and persisted with the clarification. Meanwhile, GP's are still going by while MB are using these SPECIAL rims. The FIA, for fear of avoiding a PR nightmare if this legal illegality got out, then demanded MB to cover up the holes prior the the USGP race....which we saw MB blistering their tires and ruined their tire strat. calls for the race. If you saw the USGP race, their was a VSC early in the race and MB brought in their cars (at the time it was too early but MB thought they could go all the way till the end on softs). Alot of people hear were bad mouthing Ferrari for screwing tire strategy and not pitting the cars on this early VSC.....but it was the right call; credit the Ferrari strat. guys. And there you have it. These rims will play a big role in the remaining races. And no, we cannot take back those races that MB were using these illegal rims. Had MB not used these rims when they were deemed legal by the FIA (really illegal), then POSSIBLY, Lewis would not have the lead he would have had when these illegal rims were used. (Note; this in no way entails that these illegal rims were the final nail in the coffin to Seb possibly loosing the 2018 WDC title but it does show the "biased" FIA towards MB in their decision making process....Charlie included). One more thing during the USGP, Ferrari removed 4 months of upgrades to get the car right for the race. Sometimes, you have to go backwards in order to go forward....make sense?? Last edited by jgonzalesm6; 23rd October 2018 at 09:25. Keep in mind that the current situation in the FIA is all but positive for Ferrari. Jean Todt (ex Ferrari) at the helm, Tombasis (ex Ferrari) as an FIA engineer etc. So if the FIA make any simple move that favours Ferrari they would both be under the spot light, therefore the trend is to go the other way to "prove" that you are not bias towards your old team. Look how strict they were on the battery trickery, adding sensors, monitoring and so on. One certainly cannot say FIA-rari anymore heh.... I have lost count of how many times Bottas, Verstappen, Lewis have been let go off lightly. Lewis going over the track limits, Bottas ruining lap times during quali for other drivers, causing crashes in the first laps, Verstappen no need to comment. Anyways you can even tell how easily they dish out punishment when it concerns Vettel instead, a title challenger! Vettel has made too many costly mistakes. Those points would have at least given him a fighting chance till the final race. We saw last Sunday how quickly the fortunes can turn. Ferrari's suddenly re-found speed has nothing to do with step backwards imo, rather MGP having their new advantage nullified. If the tyres heat up they are forced to drive conservatively, if you push you destroy them. When MGP pushed on fresh tyres they were hellish quick (as seen in quali), for the race with tyre management it's a totally a different chapter. No tyre temperature tricks and Ferrari got back up there. In fact I was reading articles after the race about Lewis saying that the current tyre situation is ridiculous and drivers "cannot" push to the limit but have to cruise around instead. It says it all if you filter it out. and.... now you can understand Toto's tactics, making Bottas move aside, giving Lewis the max possible points. If the new trickery is on the verge of being banned he made the most of it while they have it and they (MGP) were aware of it. They got the comfortable gap and now they can cruise to the titles. The odds of a DNF for them is very thin so they did the right move besides they might be even running reduced engine power maps to save the engines from now on. Last edited by WRX202; 23rd October 2018 at 09:50. [Racefans] Vettel: Ferrari removed 4 months of upgrades from car. What do you want him to say? There is no way you put an update for 4 months that doesn't work. It is all show. But Ferrari became upset the way MB were selling it. Now they are showing to the world that the championship was given to them by Ferrari and not a merit deal. Yeah Seb claiming the team did not realise the updates were working for 4 months sure seems like a good idea....I am sure the guys at the factory will love it. Some strange thoughts go on in here these days. Agreed, Kimi did put on a show of "D." You could see from Lewis's on-board that Kimi's car was getting "squirrely" as the laps counted down. Before that though, Max put up a hell of a wheel to wheel fight against Lewis in a less inferior car. Max was sandwiched between Kimi and Lewis. Both Lewis and Max gave each other room during the wheel to wheel until Lewis backed off. Max ran a very mature race....P18 at the start to P2 podium finish. This race has to be one of the best we have seen for 2018....for the moment. For me Bahrain, Silverstone, Austin stands most for 2018. In each race those last 5Laps were full of entertainment. Well, at least the above explanation makes more sense than if it would be a PR nightmare for Ferrari or Merc. Yes, it's more plausible the PR nightmare would be on the FIA. But since Merc did what they did, first using the rims since Spa and then not in Austin, it has painted the FIA in a bad light and a situation they have brought upon themselves. No one can't fault teams for pushing the boundaries. Everything is legal until it may be deemed illegal as their is no rule that states some development may be against the "spirit of the rules". There is no such thing. So the current situation has happened because, as you say, the FIA is infact biased towards Merc. Maybe they passed the rims back then because they thought Ferrari (or other teams) would not notice it. I think you can't see all of the holes from the side. Everything can only be seen if you take off the tyre and look from the inside. Maybe someone at Ferrari spotted it during a tyre change and that's why it has taken some races to find out? Had it been known by Ferrari since Spa then they would obviously have asked for a clarification back then and they would not be waiting until after Suzuka. As for going "backwards" with the updates. Now Seb is saying it's unfair to say all updates have been wrong because some have "worked well". So it was obviously ridiculous to claim Ferrari are using the Hockenheim package now. What may or may not have been working prior to Austin obviously can't account for closing the entire gap of 0.6-0.8 sec in qualifying now. It has to be something more and that "more" can clearly be seen in the head-to-head clip of Lewis and Seb. That's what have been missing since Monza. Cause clearing it with FIA does not stop Ferrari appealing to the Stewards. Two different things. Best to just let him rant and rave about FIA and Liberty without comment it just encourages it. Thanks! Great close up. One can see how small those holes are from the outside. Tough to spot. Also, this is not going away...yet. And why should it? The FIA has a lot ot explain. Yes, of course. The views of the FIA are only advisory. But how often do the stewards go against the views of the FIA? Ferrari know this. Even if those holes illegally cool the tires, the FIA will do absolutely nothing about any of the previous race outcomes. Mercedes crossweight massively out of balance during the race at Austin. Right side 50 kgs heavier than left, resulting in excessive tyre degradation & blistering. Depends, so far these cooling rims are "legal"..... for the moment. RedBull tried blowing air into the rims thereby cooling the tires via thru the axle and that was deemed illegal. Yeah but that also had a significant aero advantage? does it matter if the advantage is significant or not? F1 is about small margins.